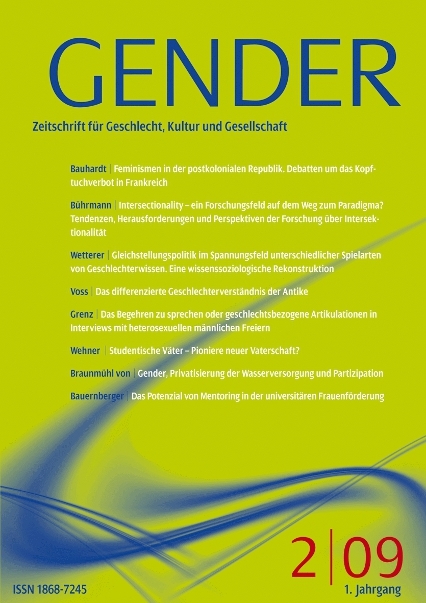 The content of this issue reflects the broad thematic and disciplinary spectrum of the Journal for Gender, Culture and Society. It begins with the feminist debate about the headscarf ban in France and the related critical examination of the interweaving of gender, ethnicity and class. In addition, this open issue contains articles in the section "From Research, Politics & Practice" and a conference report on the crisis of masculinity.